Q: Since you work for Girl Scouts, do you get free cookies??? A: NO. And there is no secret stash in the office supply closet, either. Q: Do YOU sell Girl Scout cookies? Can I order a box???? A: NO. 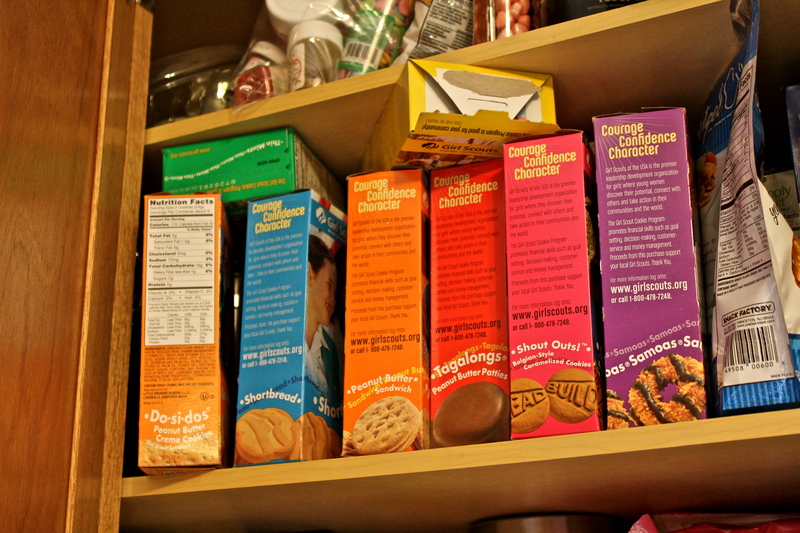 Adults do not sell Girl Scout cookies (at least they're not supposed to!). But I have been around a LOT of girls this year who do. And I have been a good customer. A little too good for my waistline. I finally had to put all of my out of sight and in the basement freezer. So yummy. I'll be glad in December when I discover them!! !